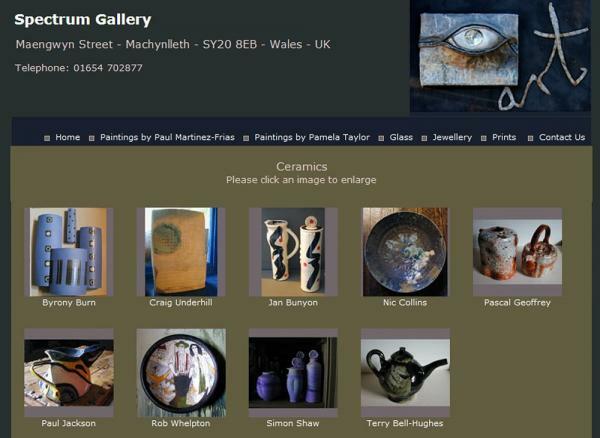 Website for this art gallery in Machynlleth, which shows a wide range of artworks - paintings, ceramics, glass and jewellery. 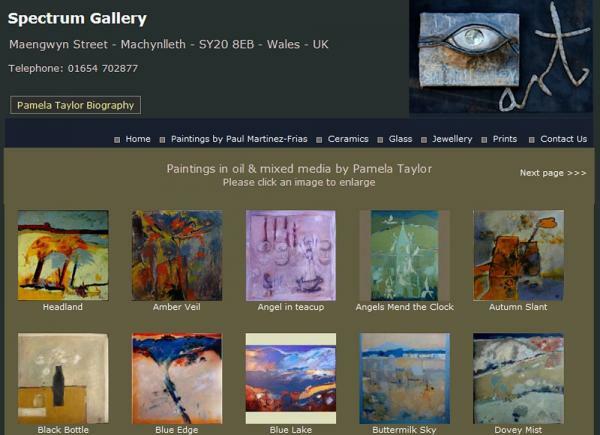 The website provides a showcase for the artists' work. Technical features@ PHP and MySQL. 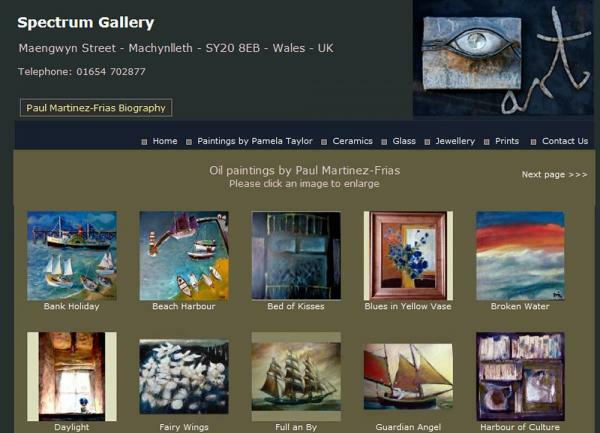 Simple content management tools allow the owners to upload and edit images and details of the works. 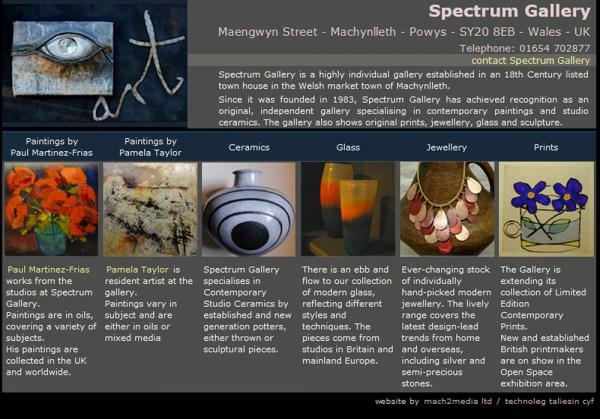 Development partners: The project was a joint development with mach2media.